By choosing to serve HOPE Coffee, your church will play a vital role in missions projects in Honduras, Mexico and even parts of Africa! Something as simple as an outstanding cup of coffee can ignite an awareness and passion for missions in your congregation and change lives around the world for Jesus! 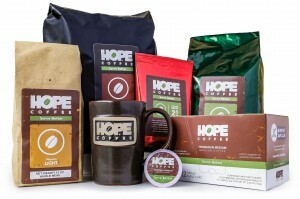 Our HOPE Partner Program allows you to order online as needed at a 10% discount! No minimum orders. No contracts. Just outstanding coffee that changes lives forever. As a HOPE Partner Plus, your coffee will automatically ship every month at a 15% discount. Is your order $125 or more? We’ll even ship it for free! As always, there is no minimum order and no contract. Cancel anytime! Request More Information and one of our team members will contact you shortly to answer your questions and help you determine a plan that is right for you. 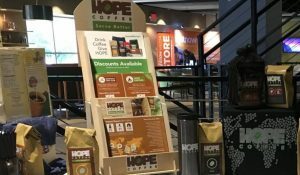 As a HOPE Partner, you can receive this complimentary Welcome Display Kit for your coffee station. Your church members will know what they are drinking and the impact their coffee choice is having around the world! This video shares the mission behind HOPE Coffee, and is a great way to ignite an awareness and passion for missions in your church. Hear from one of our coffee farmers and even a family who received a home! 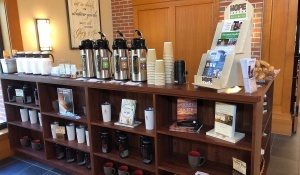 Turn your coffee bar into the missions hub of your church or organization! Click the image above to see examples of how other HOPE Partners have created an excitement for missions through their coffee bars!